In most churches, men are conspicuous by their absence! At St. Andrew’s, the number of men attending worship and taking part in the life of the congregation is on the increase. For example, twenty-six men recently spent the weekend at Kincraig, near Aviemore, on a retreat weekend. And, recently started, the men meet at the end of each month to share breakfast together. There are two events coming up to look forward to. Firstly, a golf afternoon at Letham Grange, on Saturday 12th May, followed by a bite to eat. Then, on the 4th June 2012, we’re greatly looking forward to the visit of Scott Burton, minister of St. Matthew’s Church, Perth. Scott has recently published his first book. 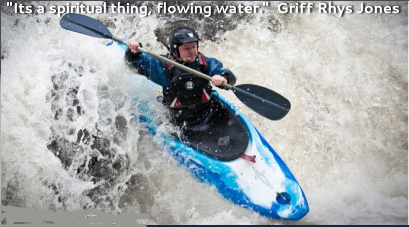 Based on his love for kayaking, ‘Holy White Water’ makes the connections between adventure sports and spirituality. Scott is a highly entertaining speaker and will make you want to trade in your couch-potato lifestyle for something much more fast-paced!